No, I did not predict that the Chicago Cubs would win the World Series last week — although it did take some foresight for me not to throw away my dusty 28-year-old Cubs cap which my head outgrew. Before the Land Transport Authority (LTA) and SMRT could find the cause of the problem, the problem disappeared as suddenly as it appeared. “The mysterious signal interference which interrupted service on the Circle Line MRT two months ago is back,” reported The Straits Times. Thousands of commuters were affected during the morning rush hour. 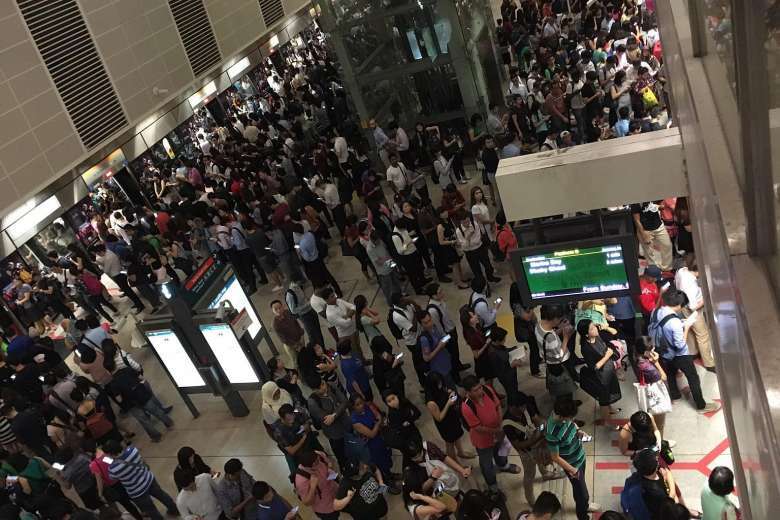 SMRT said that preliminary findings revealed a communications glitch similar to the one that disrupted service earlier. So not only are you going to be late for your appointment due to the train delay, you can’t inform anyone that you’re going to be late. You can’t even kill time waiting for the train to move again by going to the SMRT Facebook page to complain about the lack of mobile services because of the lack of mobile services. The Circle Line has pretty much become one of Dante’s Circles of Hell. Please excuse my atas literary reference. I just saw the Tom Hanks movie, Inferno. LTA has apologised for “the inconvenience to passengers”, which unfortunately, it has become very practised at. But the Government agency wasn’t the only organisation to appear contrite last week. Why the beef with Cold Storage’s beef promotion? Plus, I would add, Deepavali is a Hindu festival. Cold Storage was quick to throw under the bus (and not the train because it was delayed) a “junior staff member” who put up the sign and “overlooked the cultural sensitivity”. “We have since explained and coached him on the cultural sensitivity and he assured us that he had no intention to disrespect the Hindus. One hopes this mean there won’t be a pork promotion in the supermarket next Hari Raya. While promoting beef during Deepavali may not be the best idea, surely there isn’t a better time than Halloween week to dress up as a scary clown and startle random strangers in public? Apparently, the police didn’t think so. Which led to probably the most unexpected apology of the week. Hey, if you really want to frighten Singaporeans, just tell them they can’t access the Internet. While mobile services returned yesterday on the Circle Line, LTA chief executive officer Chew Men Leong is leaving. Friday will be the last day for the former Chief of Navy. I’m sure if the MRT were built on water, Mr Chew would have solved all the problems. Wait, didn't SMRT chief executive officer Desmond Kuek also used to be an army general? Does this mean the MRT will be breaking down for another 108 years?